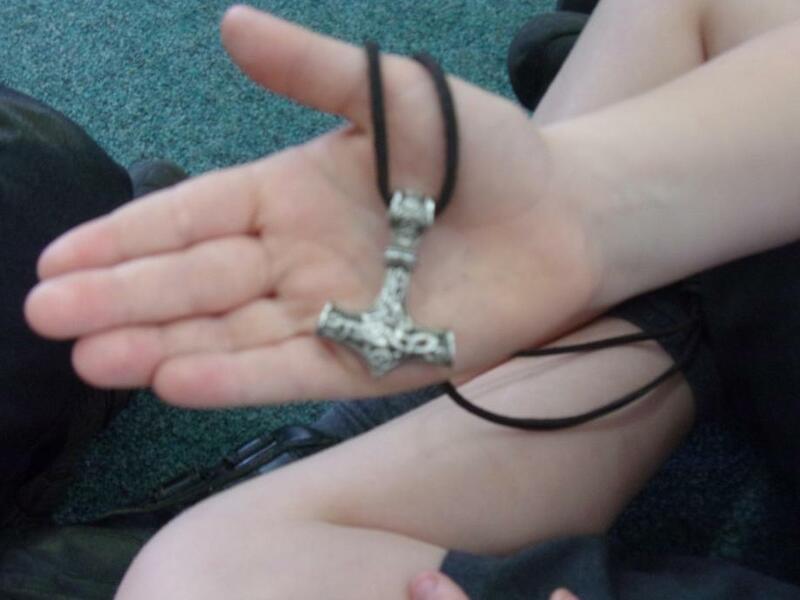 Please make sure your child's school uniform and PE kit are clearly labelled. 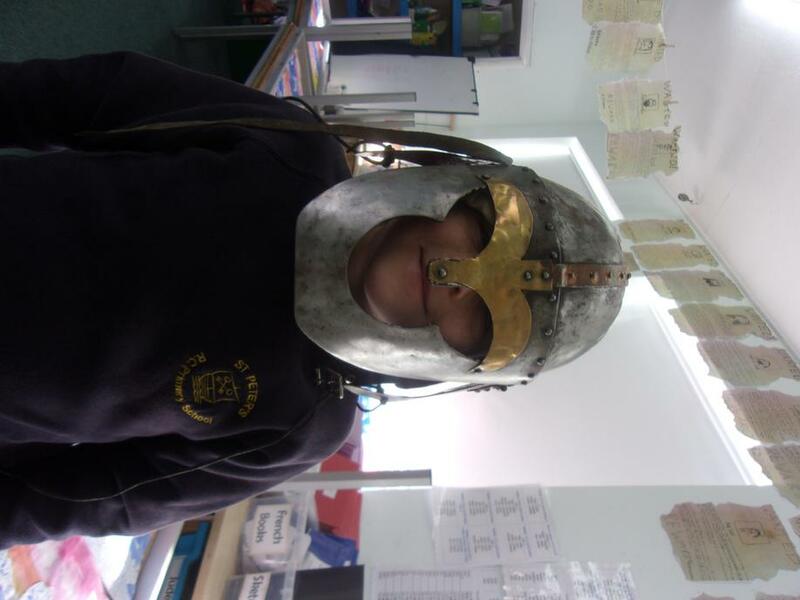 Our PE days are Tuesday and Wednesday. 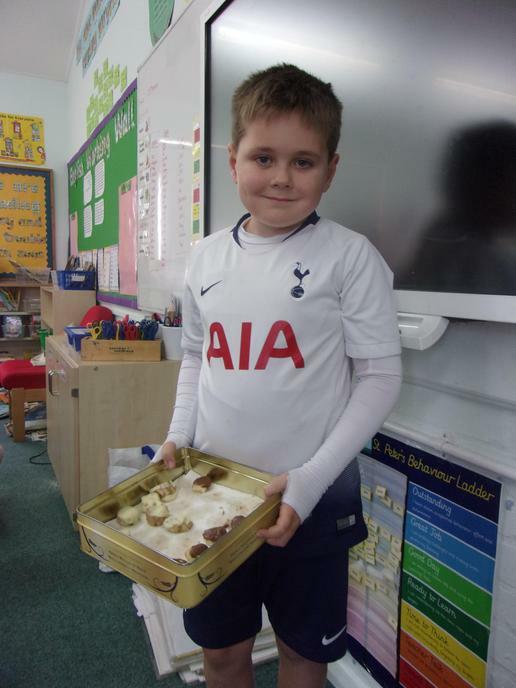 Please make sure your child's PE kit is in school on these days. 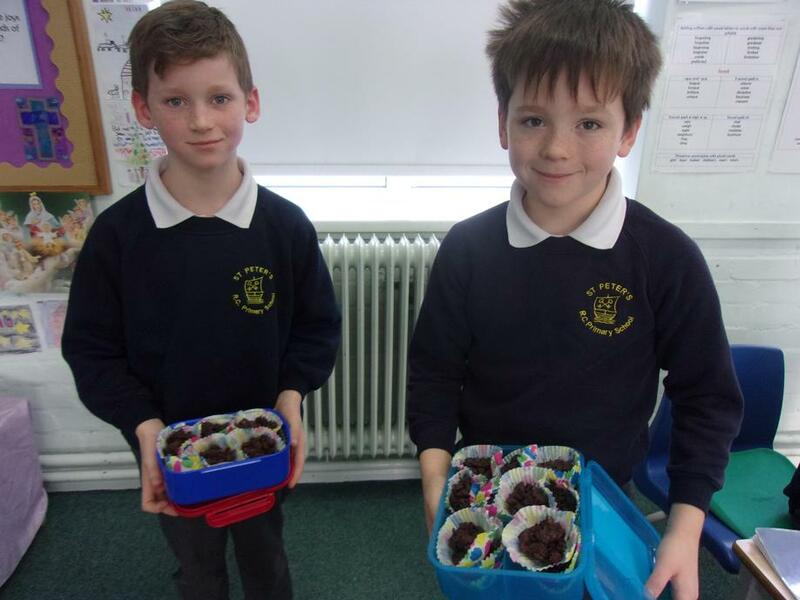 Homework will be given out on a Friday. 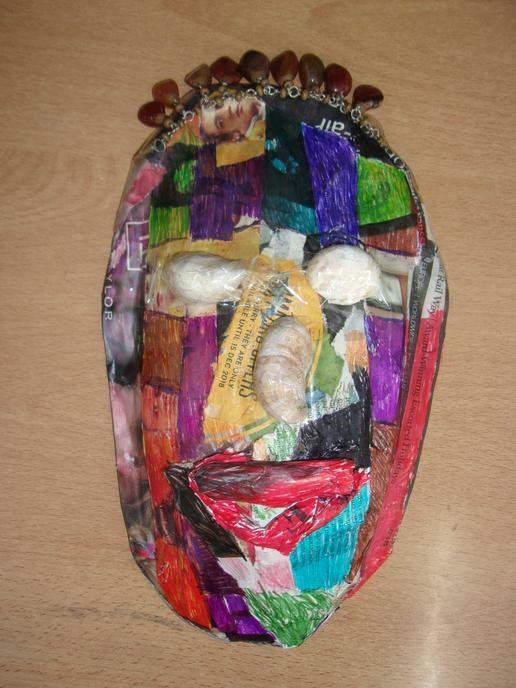 This should be handed in the next Wednesday. 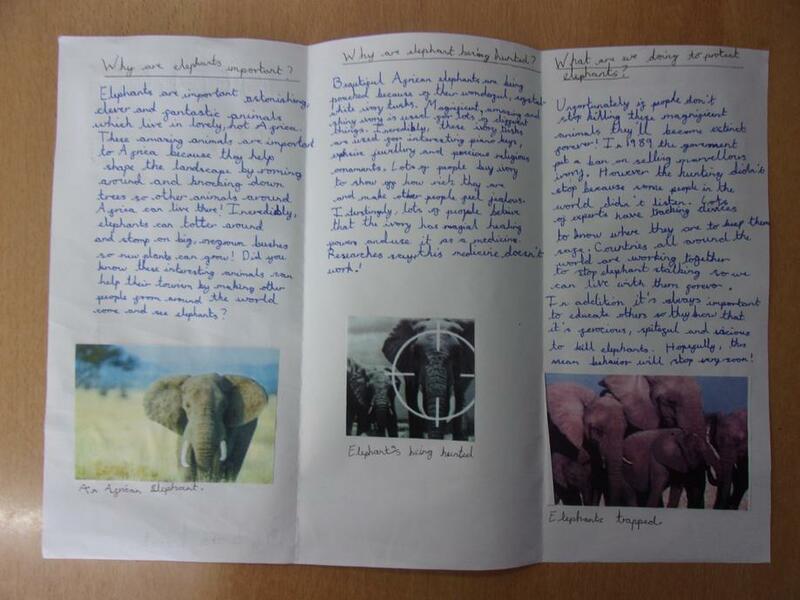 Learning journals should be signed weekly by an adult. 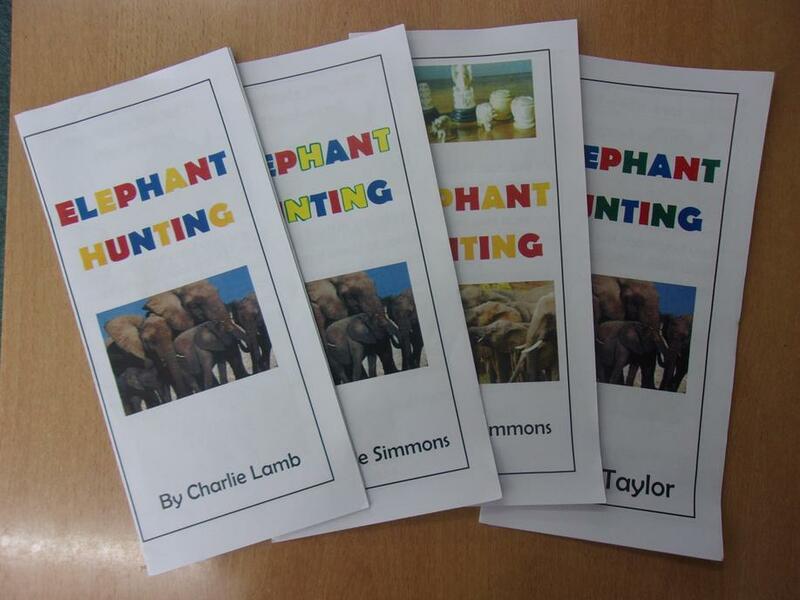 Children are to hand these in on a Monday to be signed. 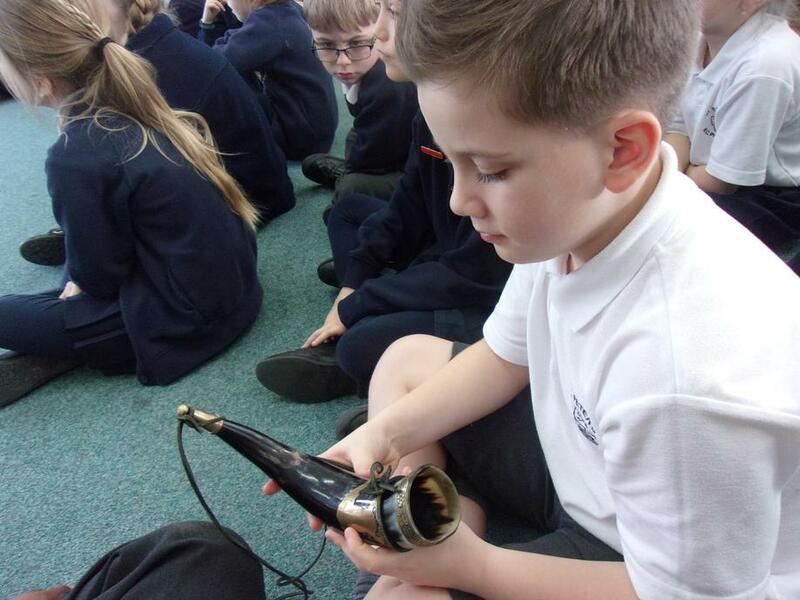 Messages from home can be recorded in here. 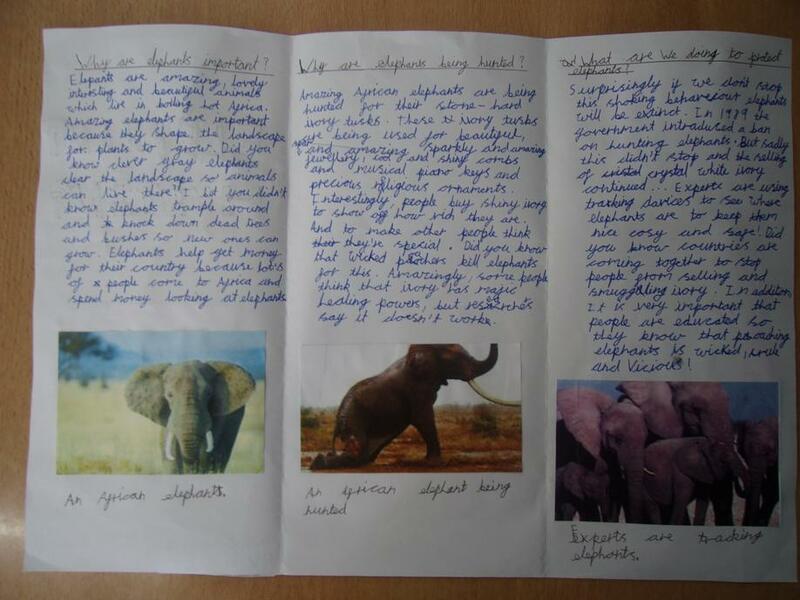 Learning journals should brought to school every day. 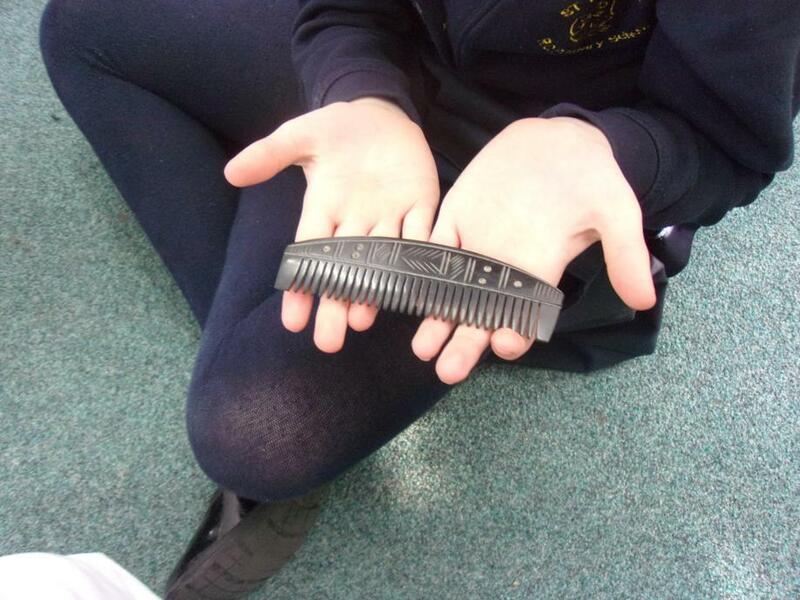 Spellings are tested fortnightly. 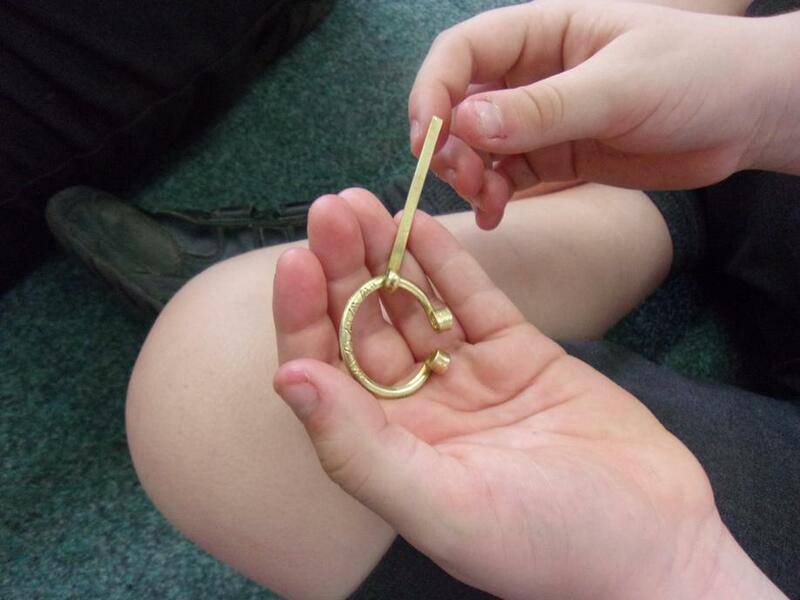 Children will get new spellings on a Monday and will be tested Friday of the following week. 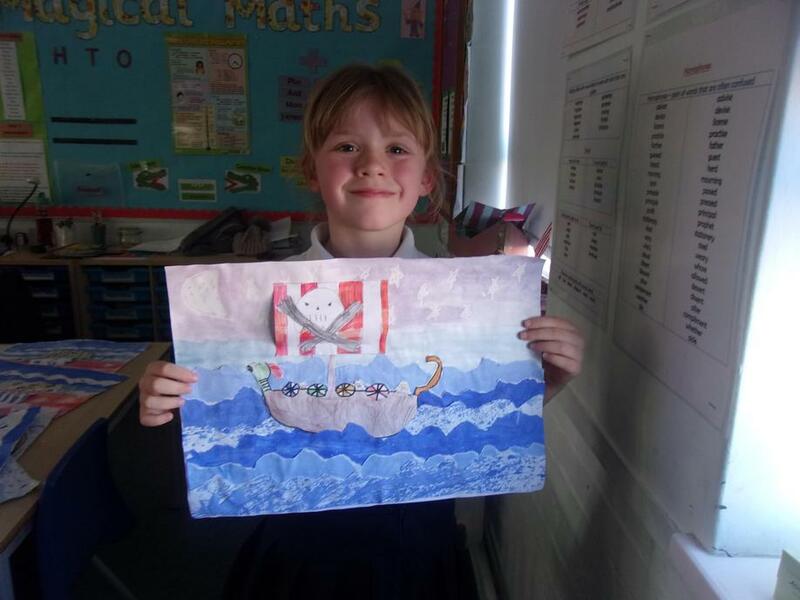 Children should make sure they have their spelling books in school every day. 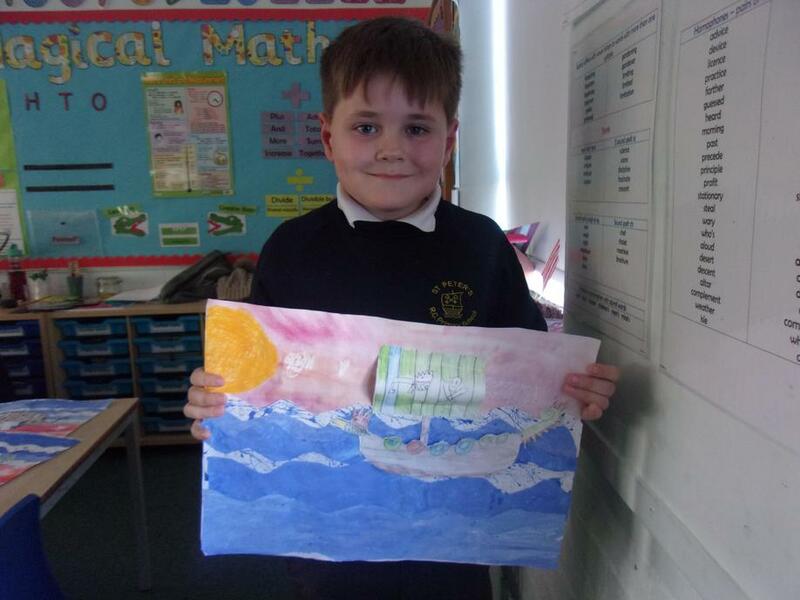 One piece of topic homework needs to be complete per half term. 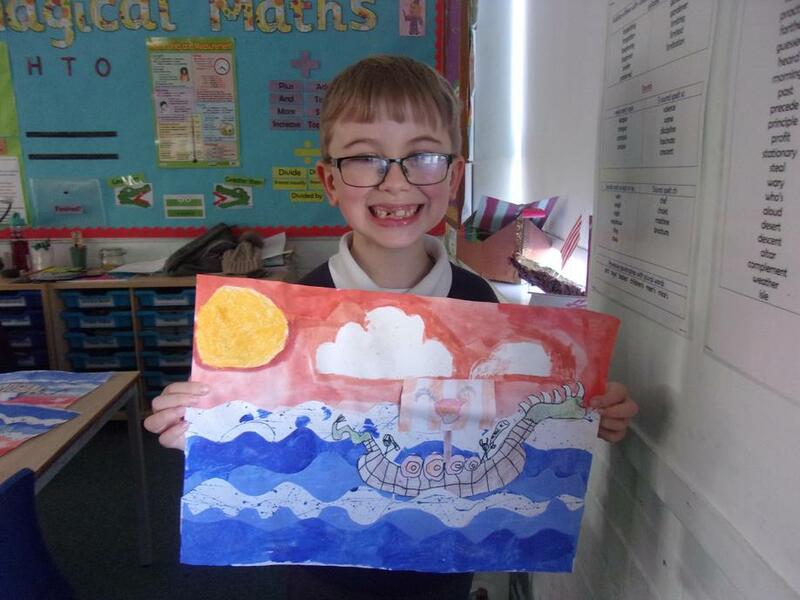 Choose from the options on the attached document below. 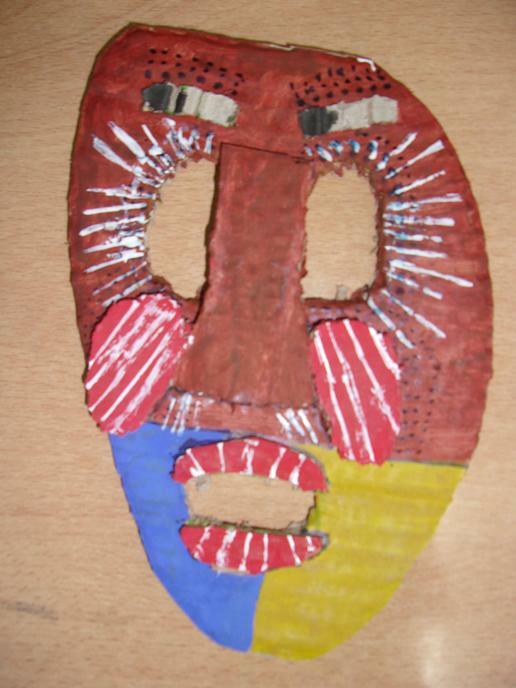 Click below to access some useful websites to support with your learning. 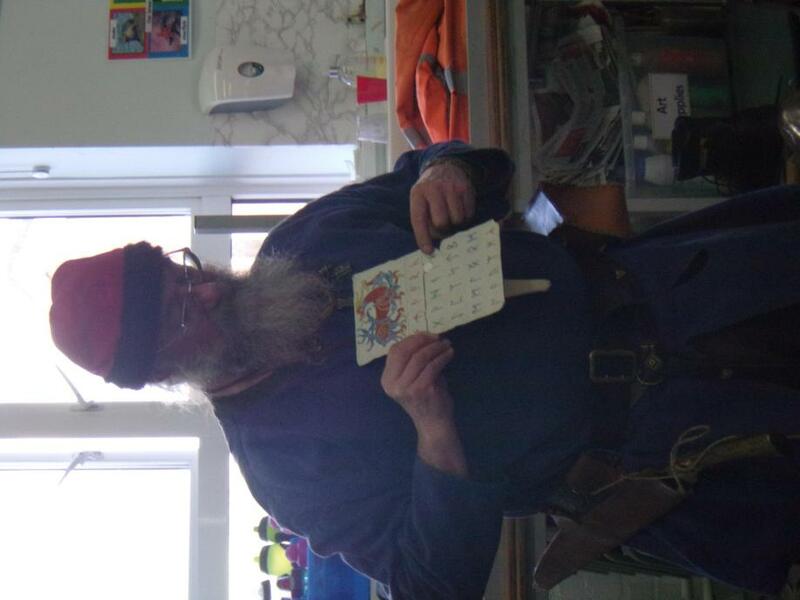 Percy Parker Sing times table songs to help learn your tables. 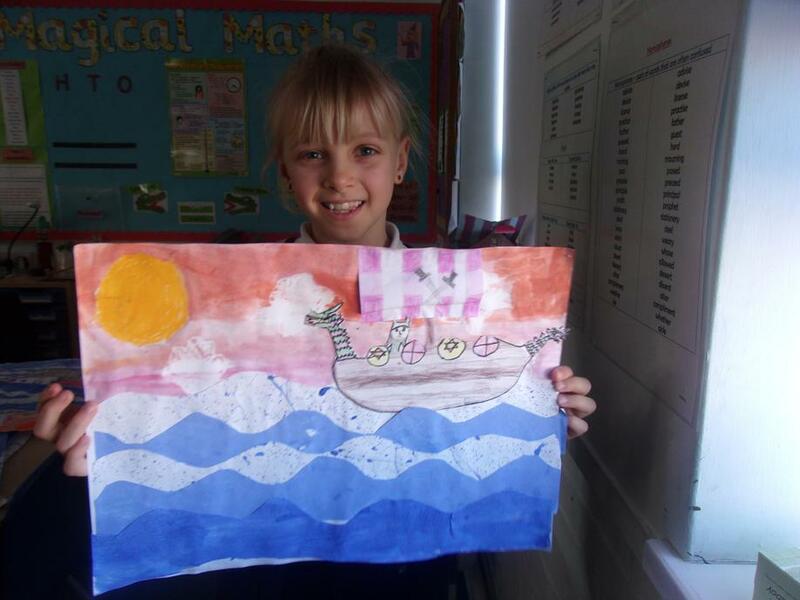 Accelerated Reader Quiz on books you have read. 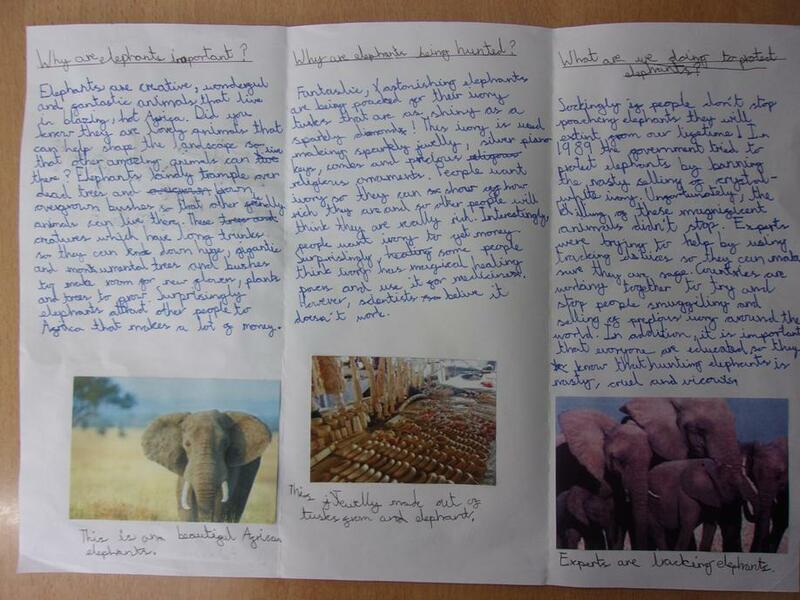 Information about Africa Find out about some of the amaxing countries that make up the continent of Africa. 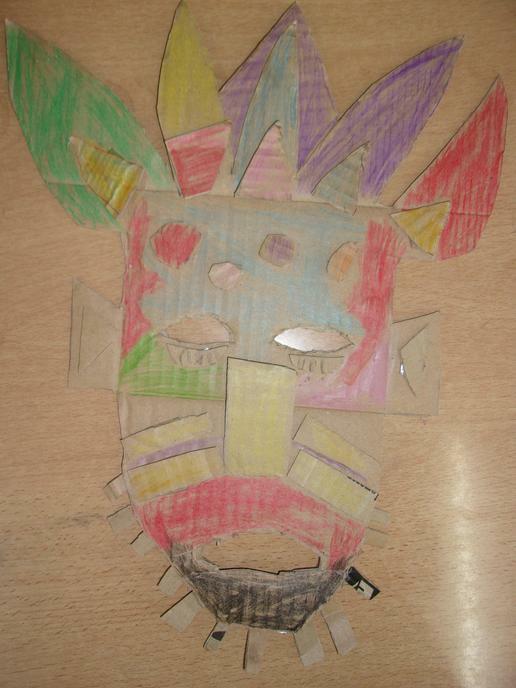 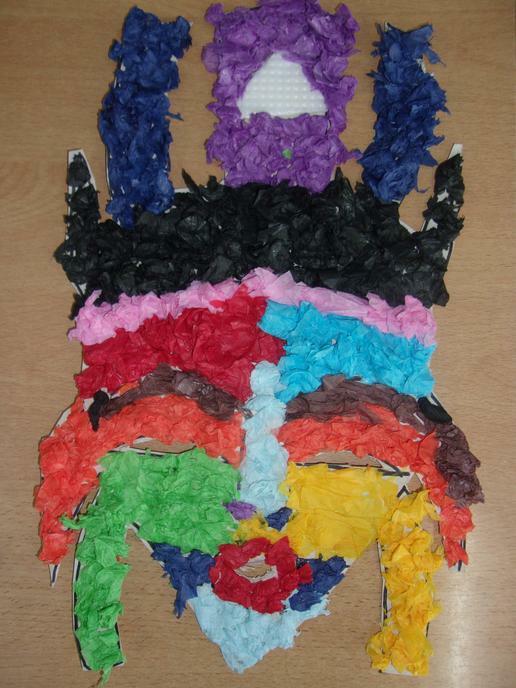 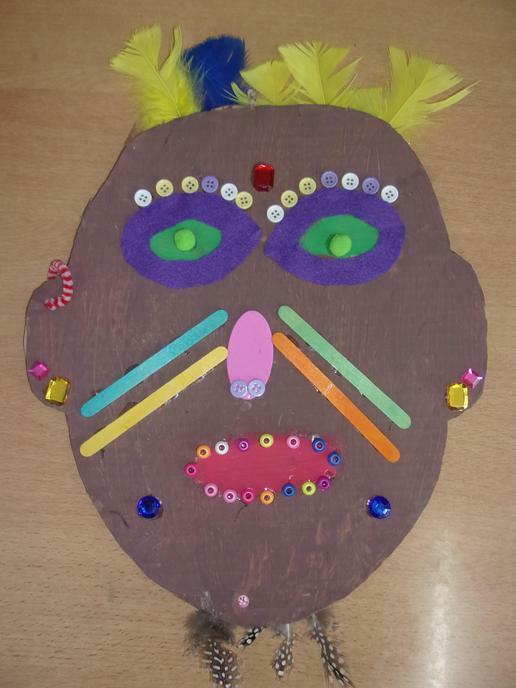 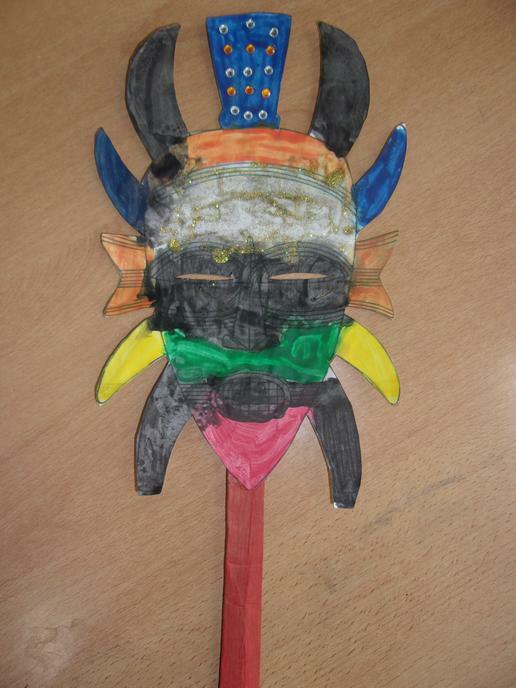 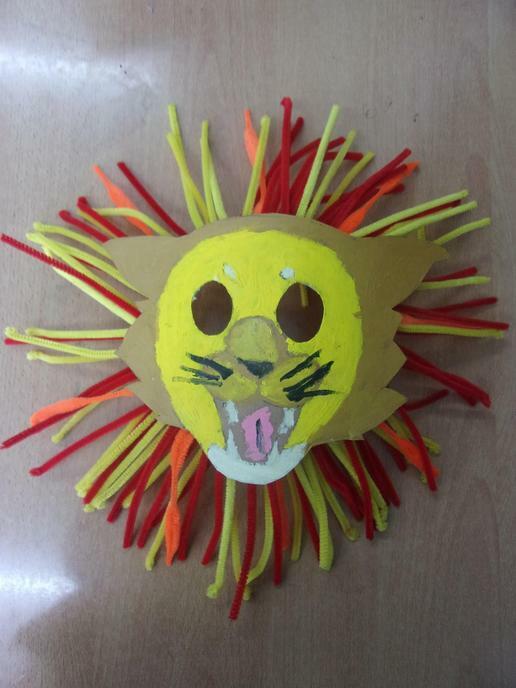 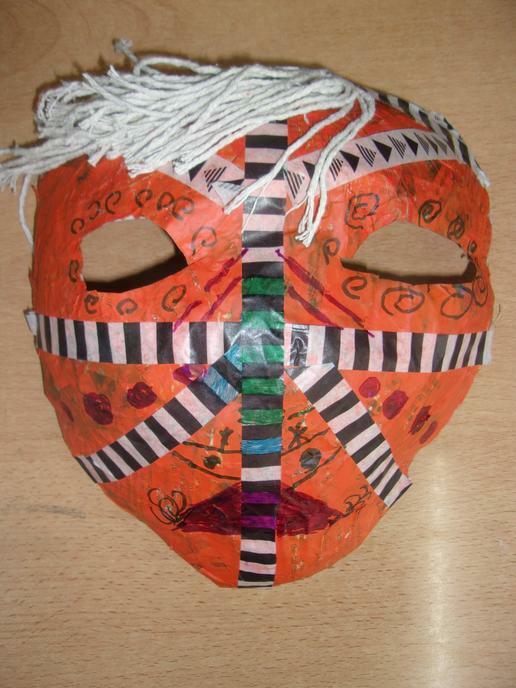 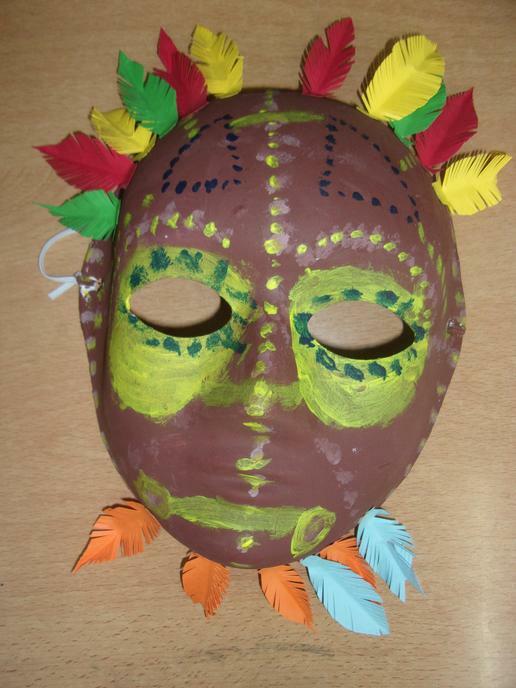 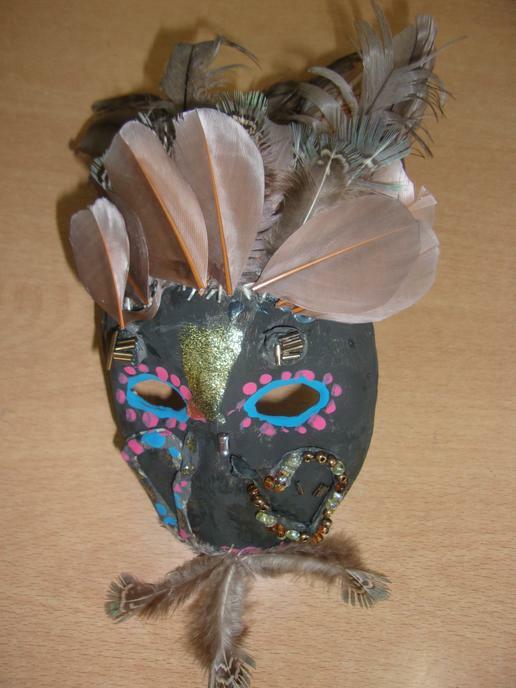 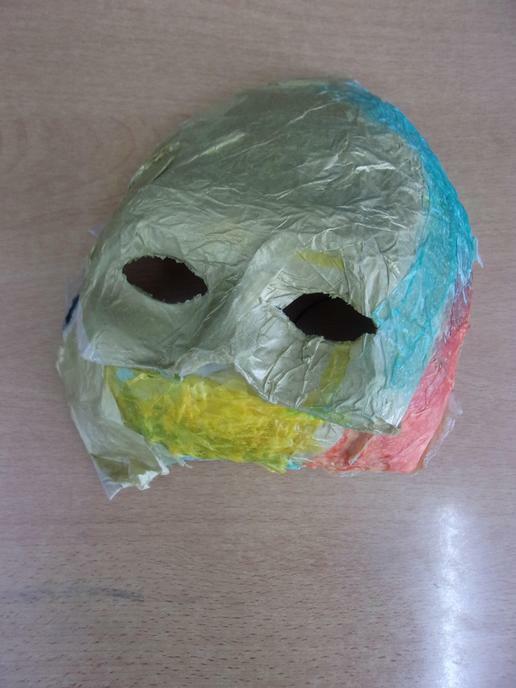 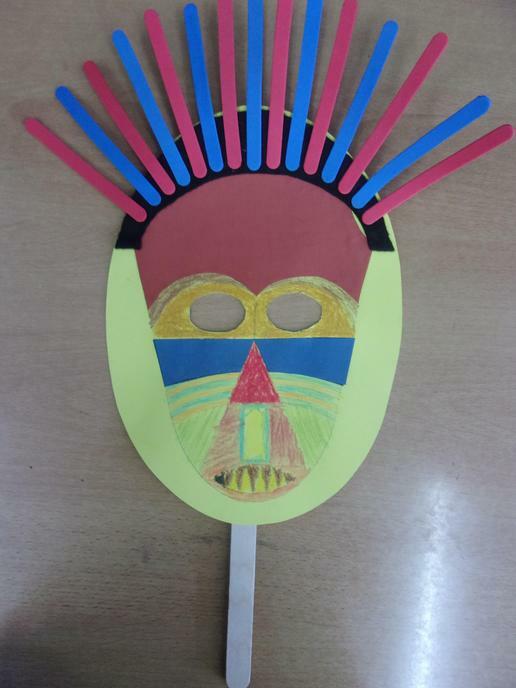 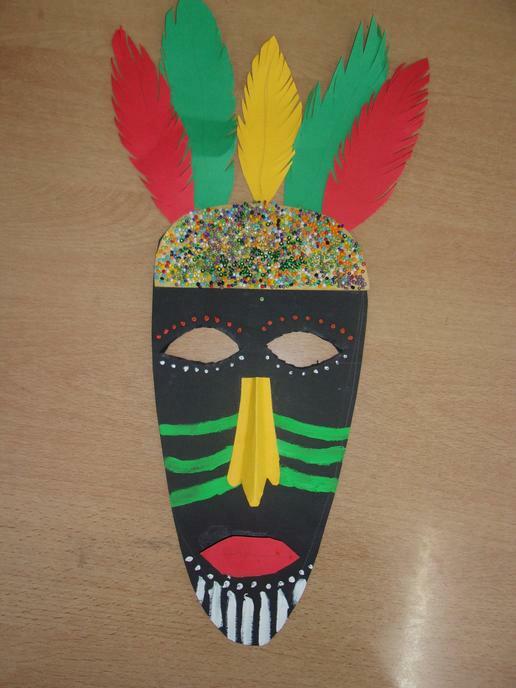 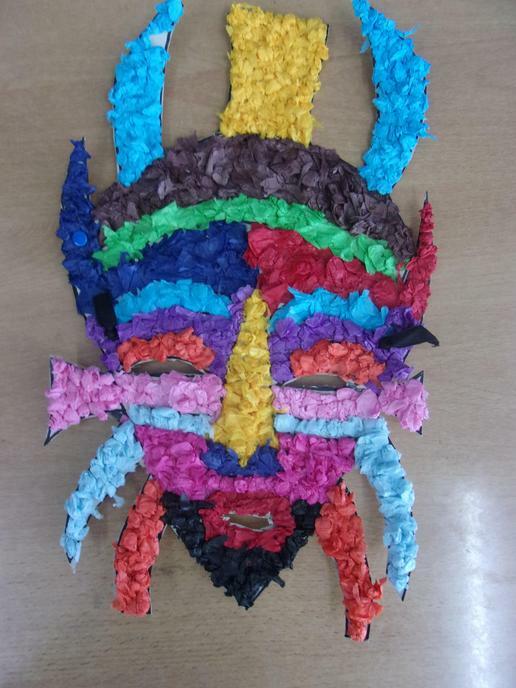 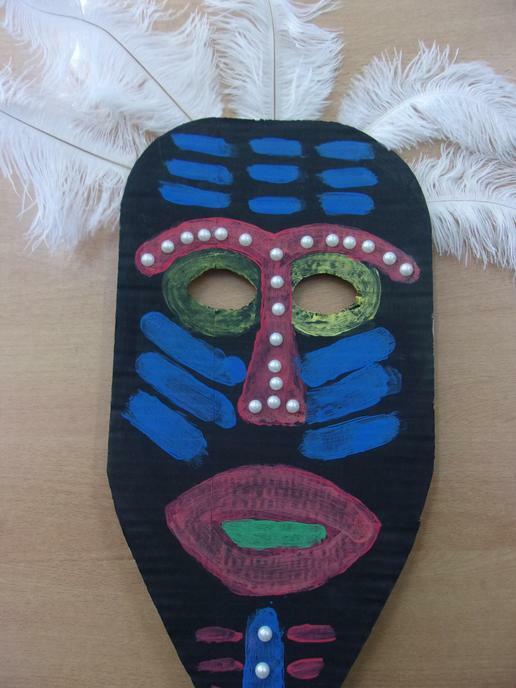 For topic homework this term, some of the children chose to make their own African masks. 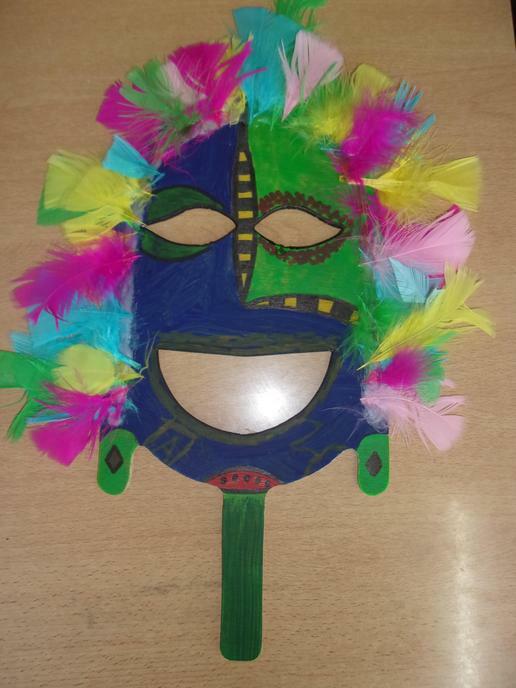 They are bright, colourful and extremely eye-catching! 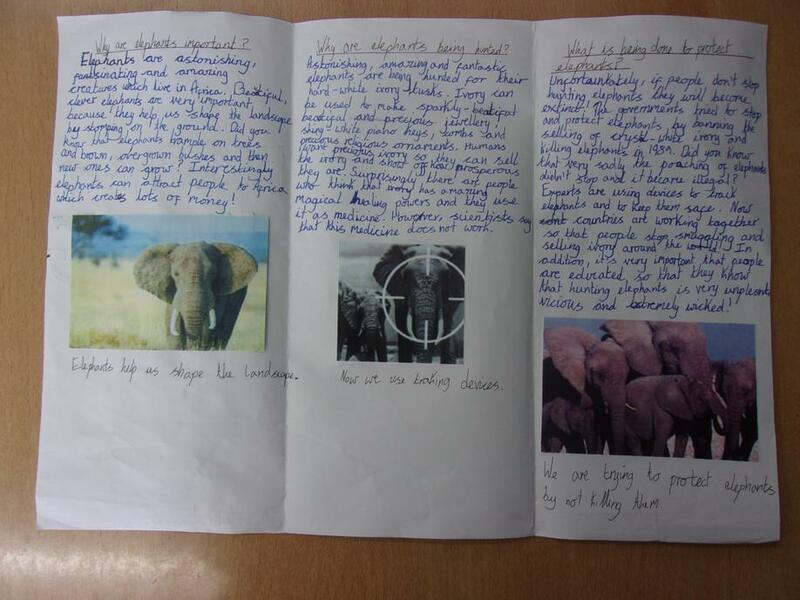 In English, the children learnt about how African elephants are at risk of extinction because they are being hunted for their tusks. 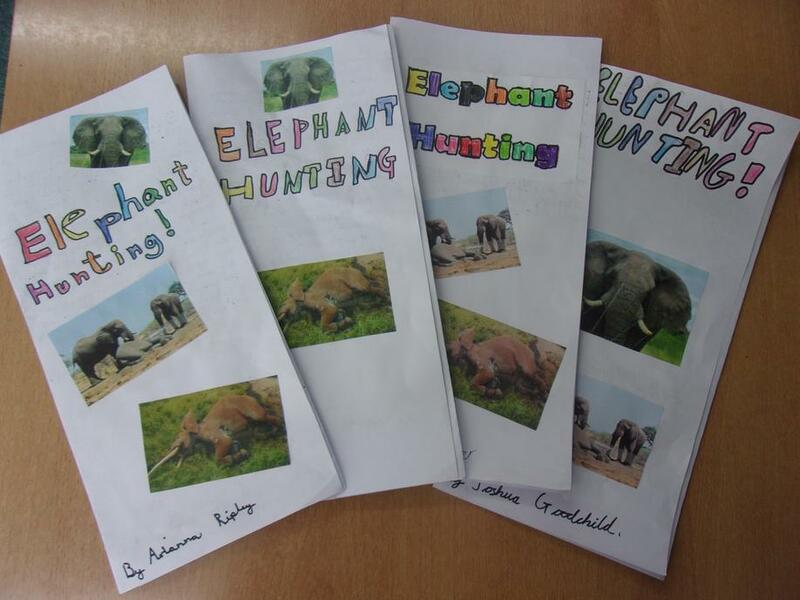 The children wrote leaflets to raise awawareness to the issue and to persuade others not to hunt elephants. 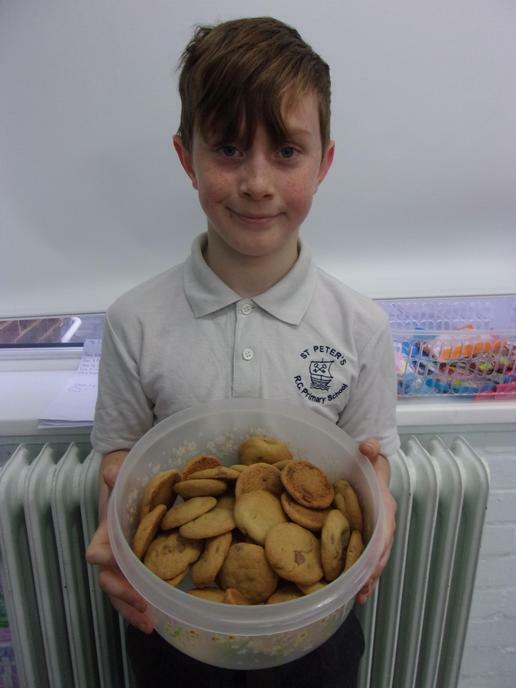 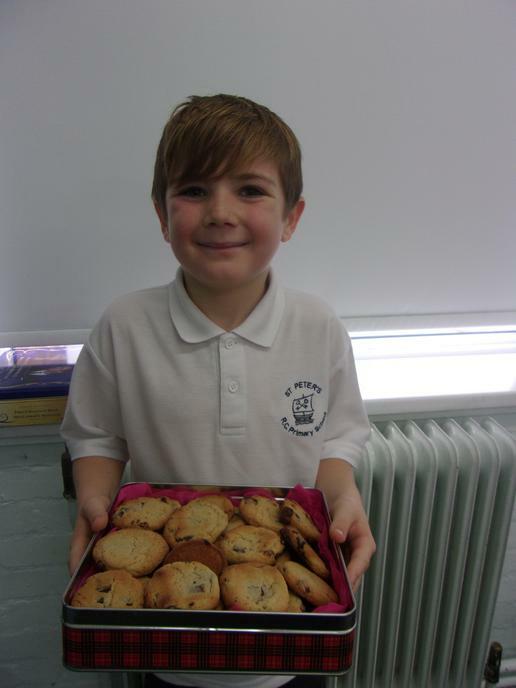 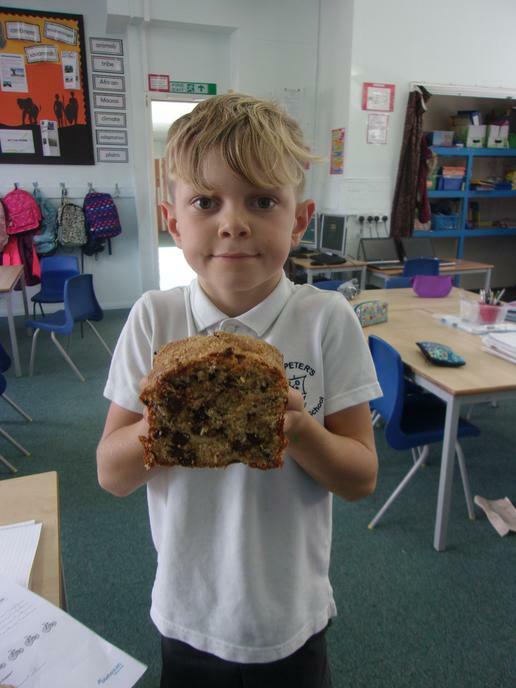 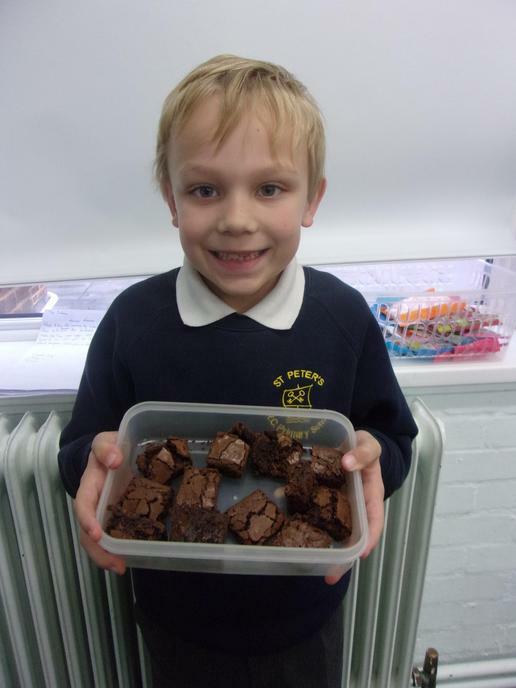 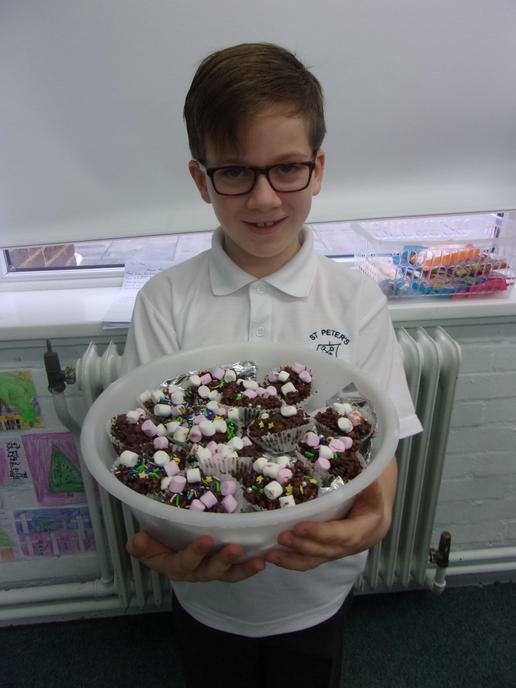 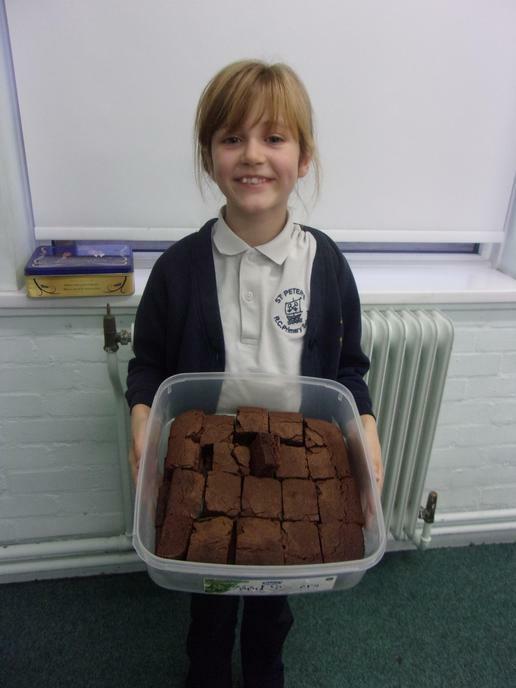 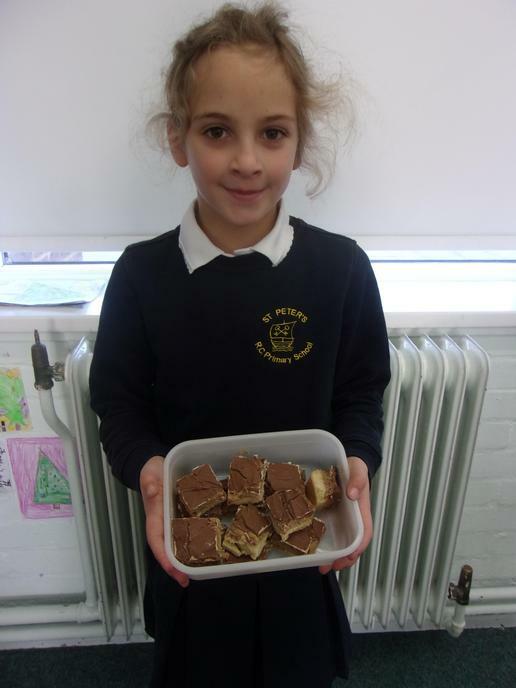 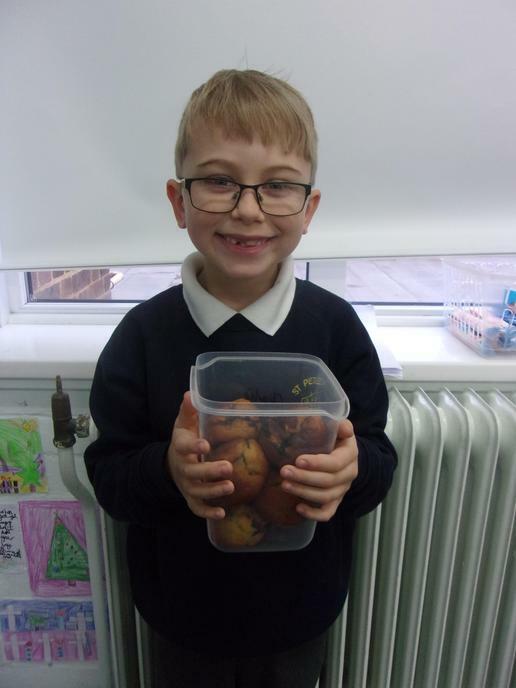 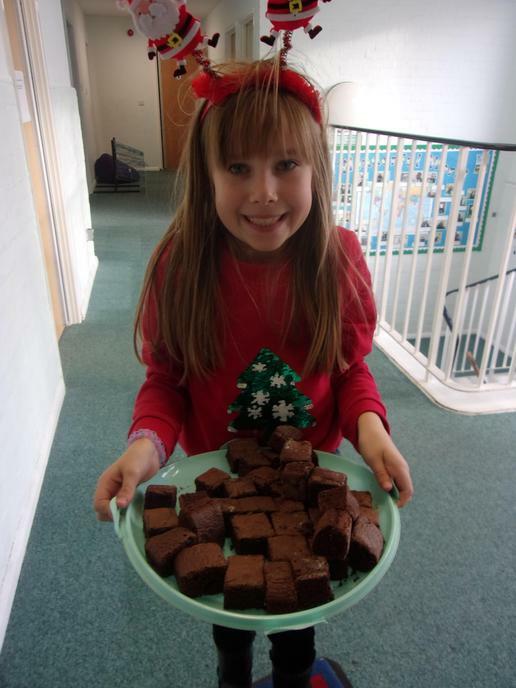 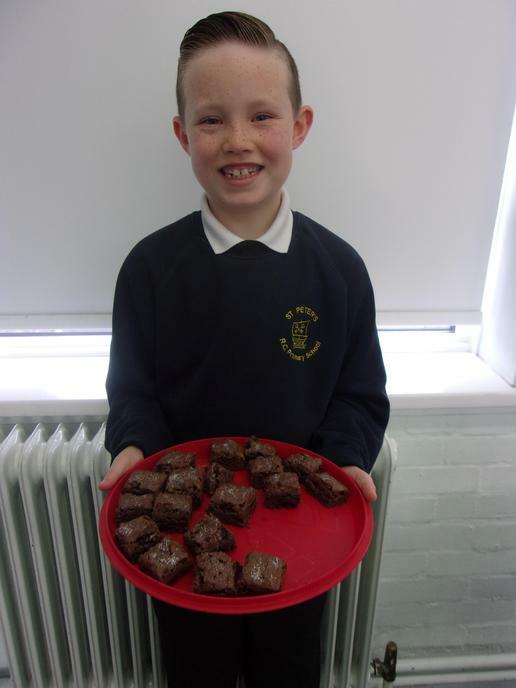 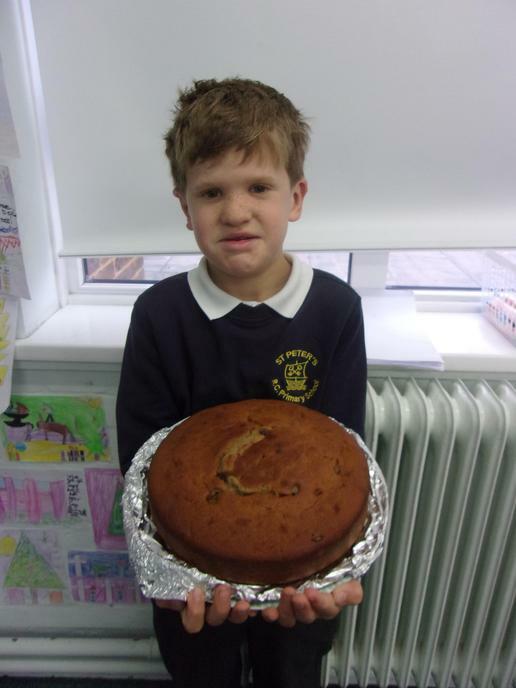 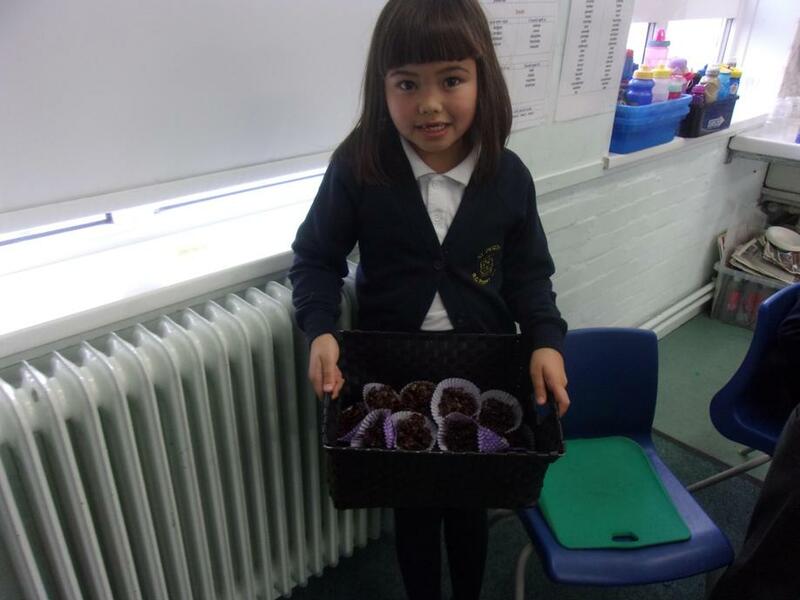 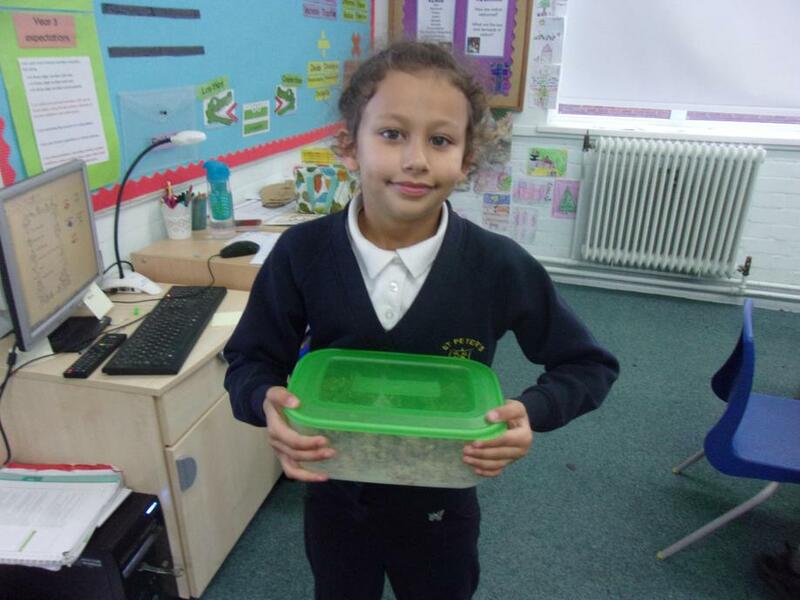 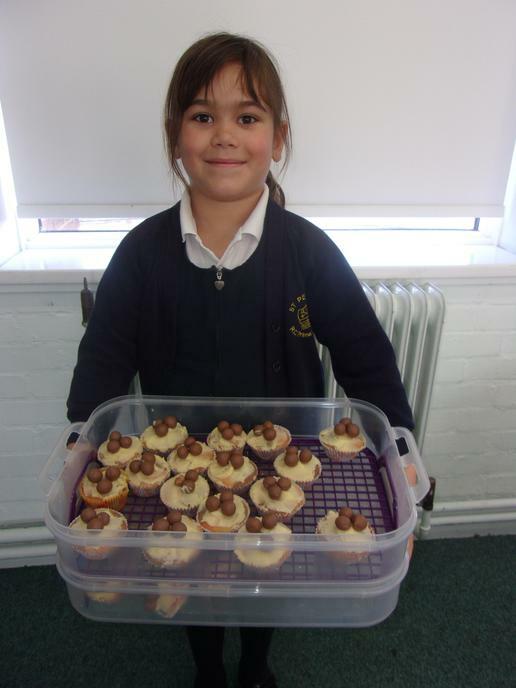 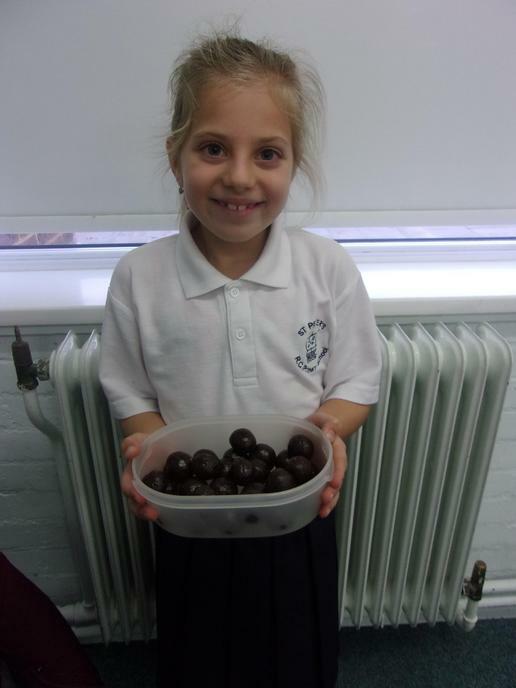 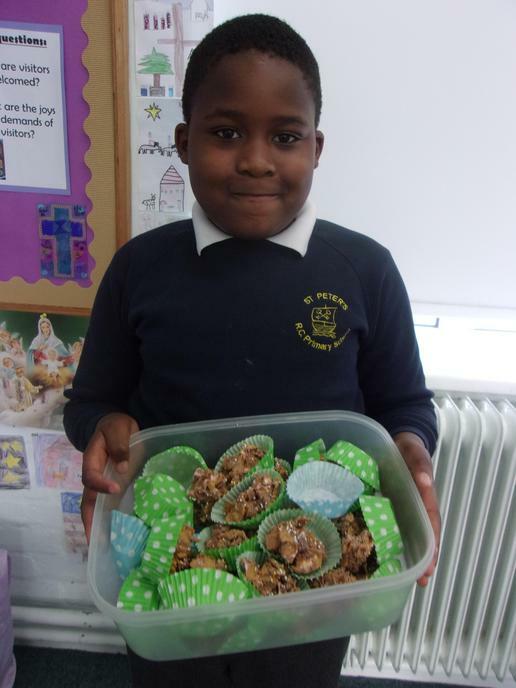 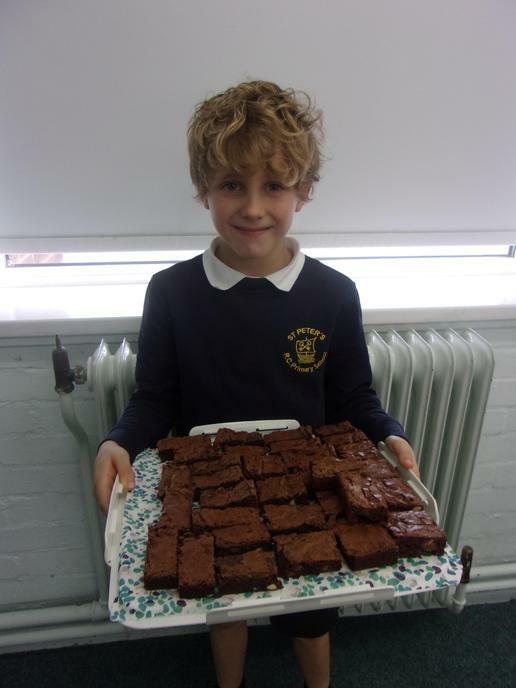 For our topic homework in Autumn 2, some children chose to bake a Fairtrade treat by following a recipe. 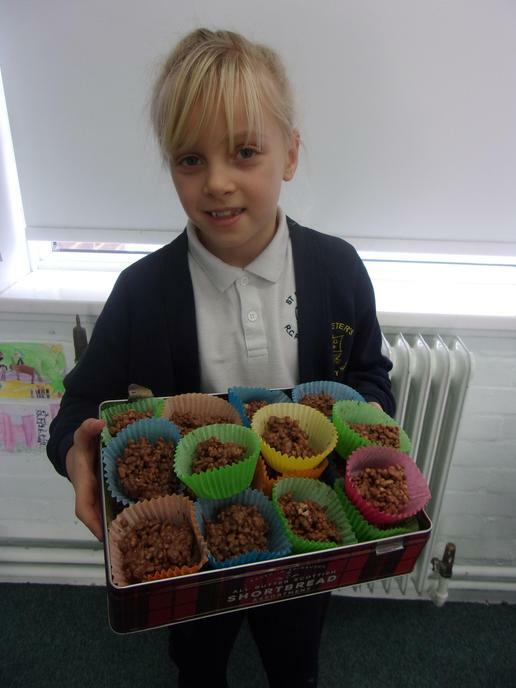 We shared these within the class and everybody enjoyed them! 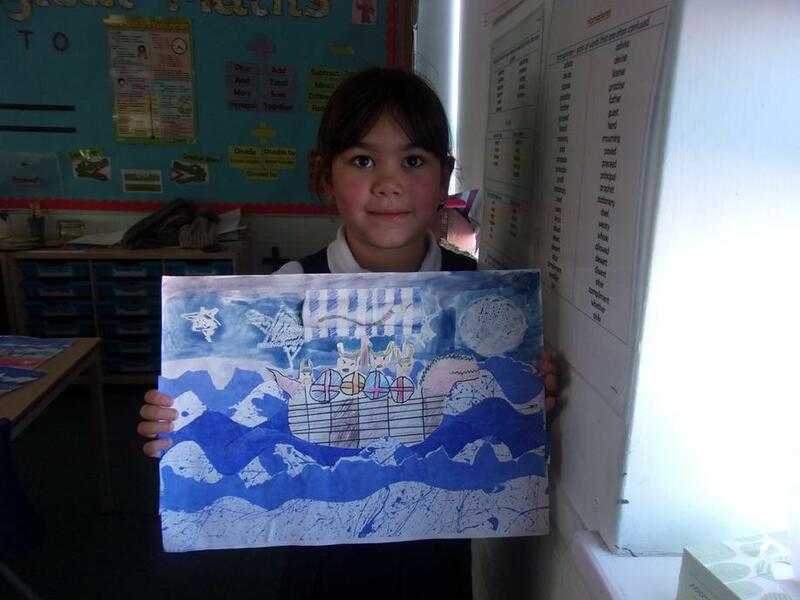 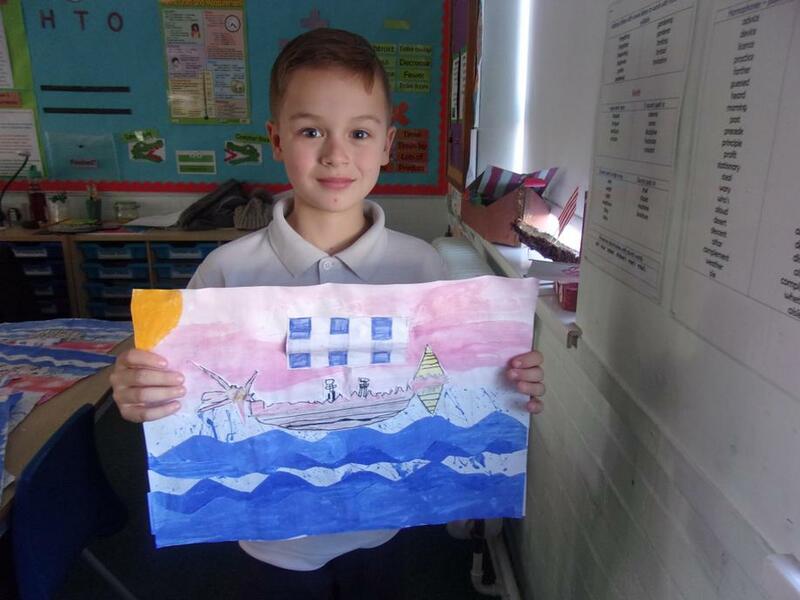 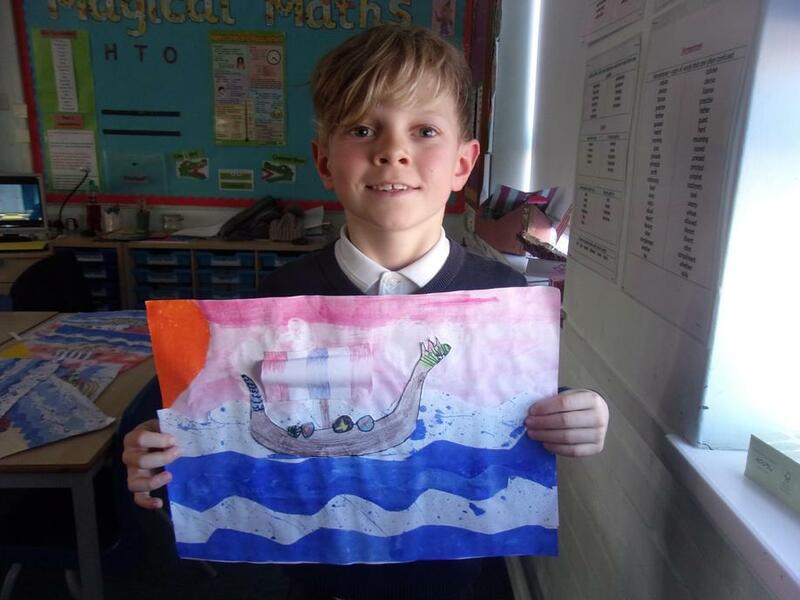 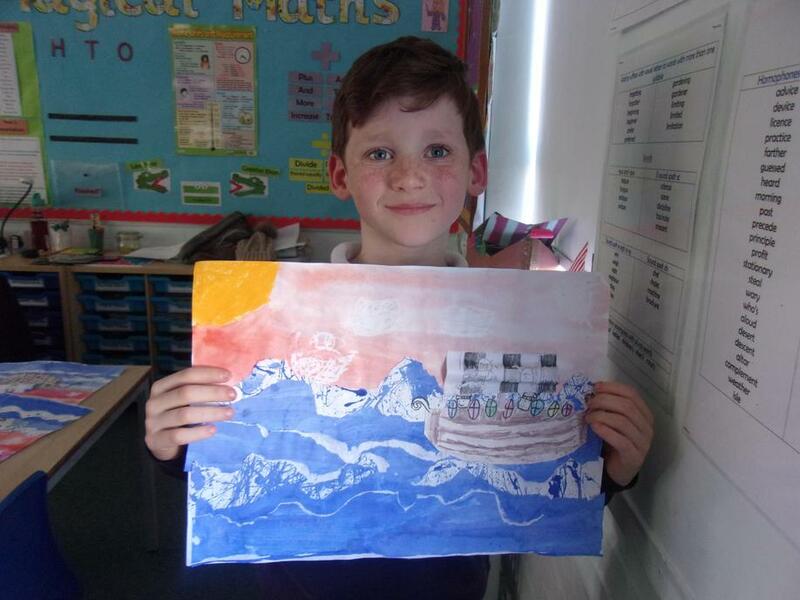 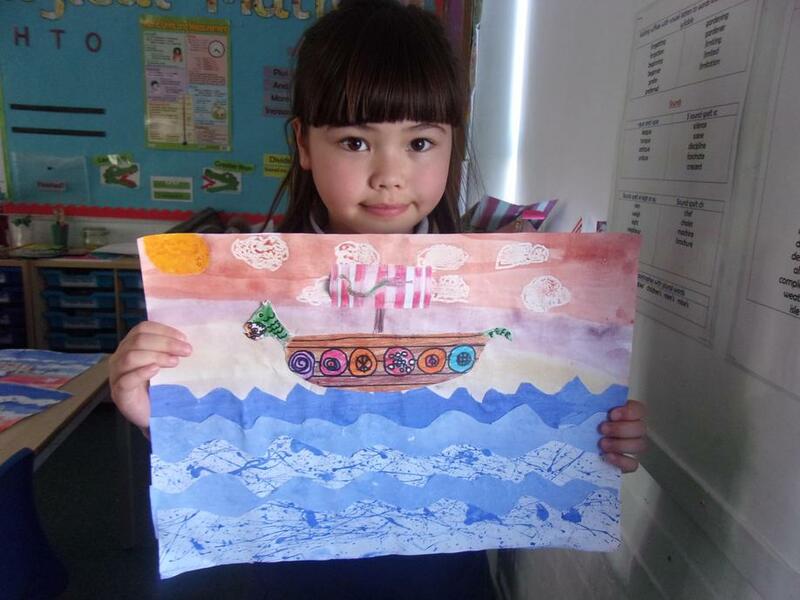 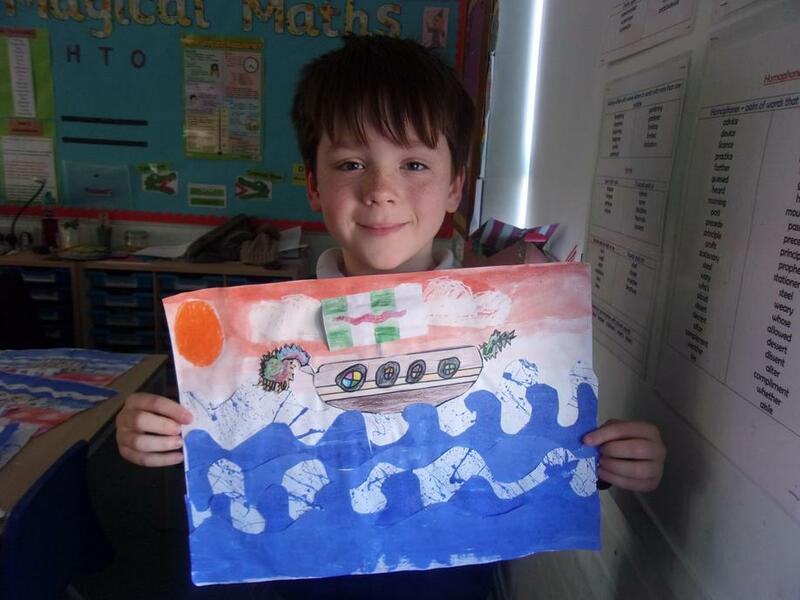 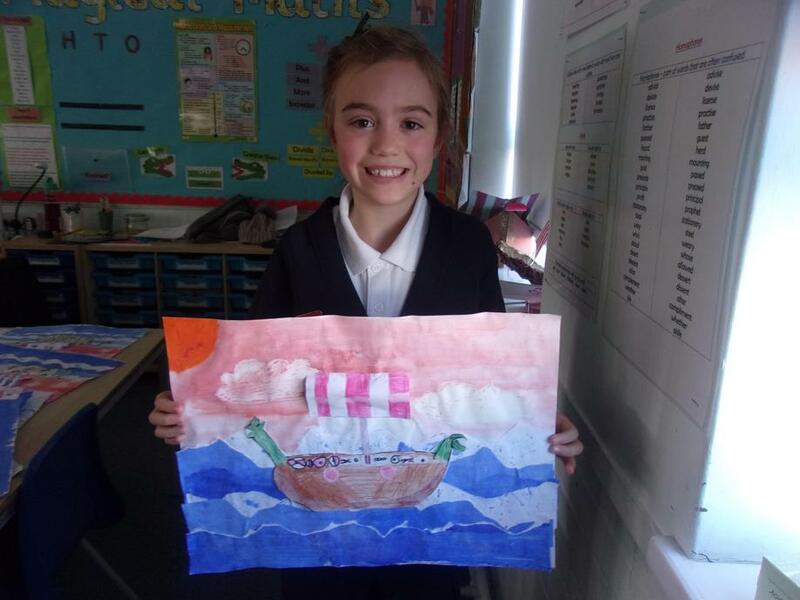 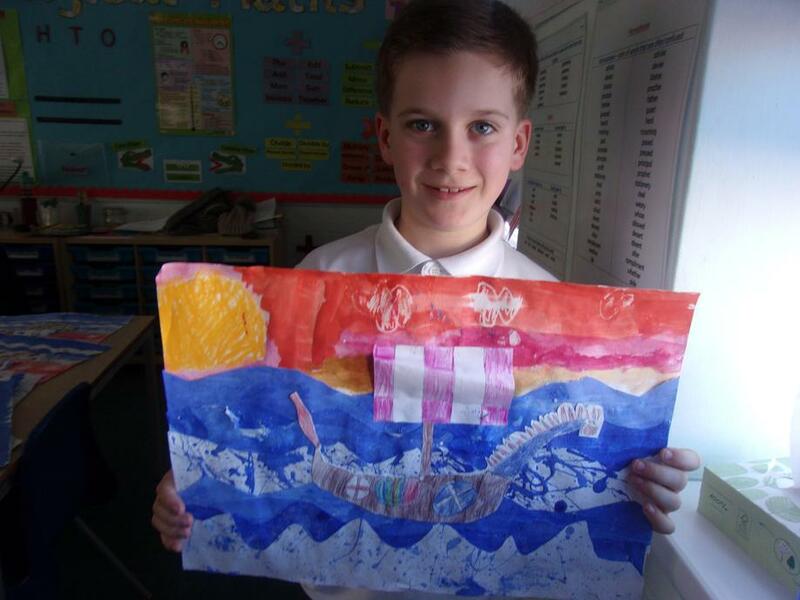 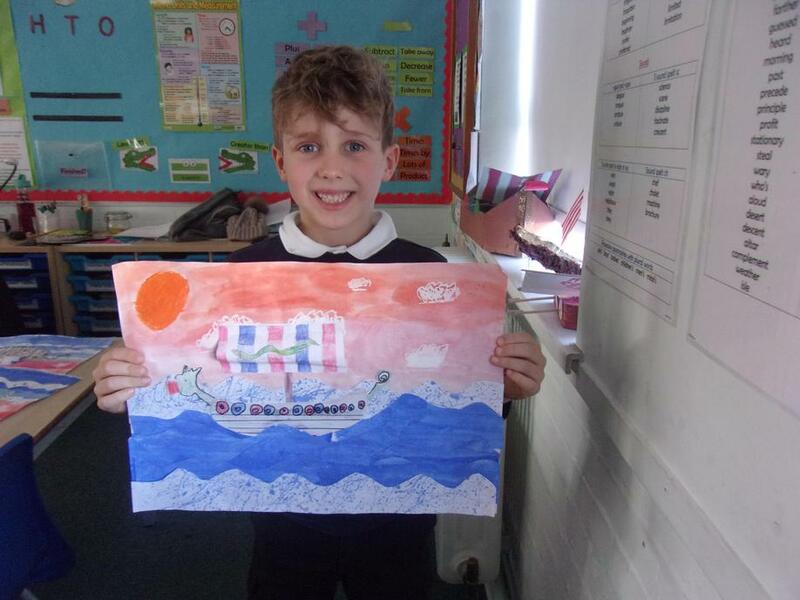 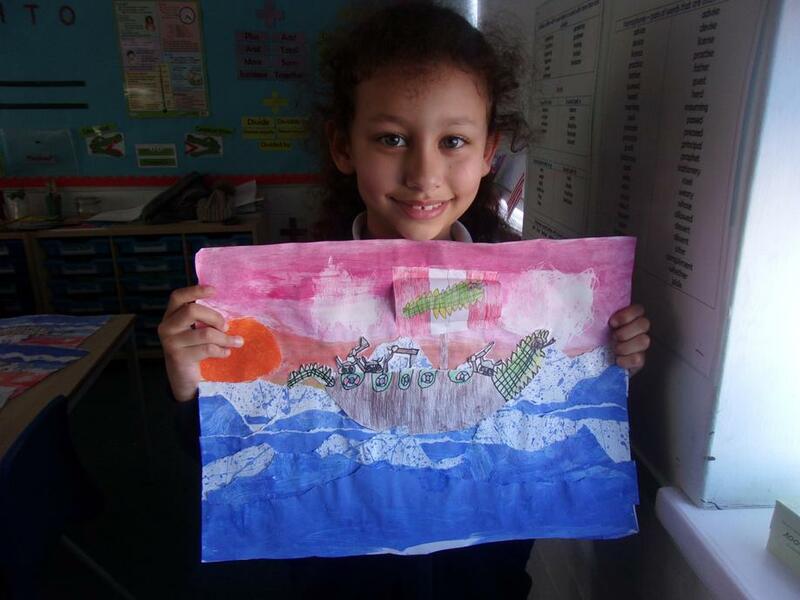 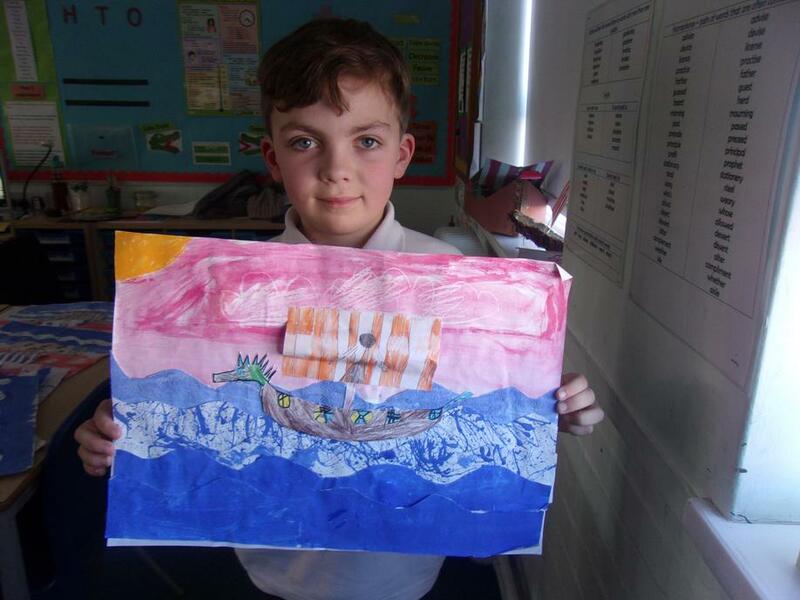 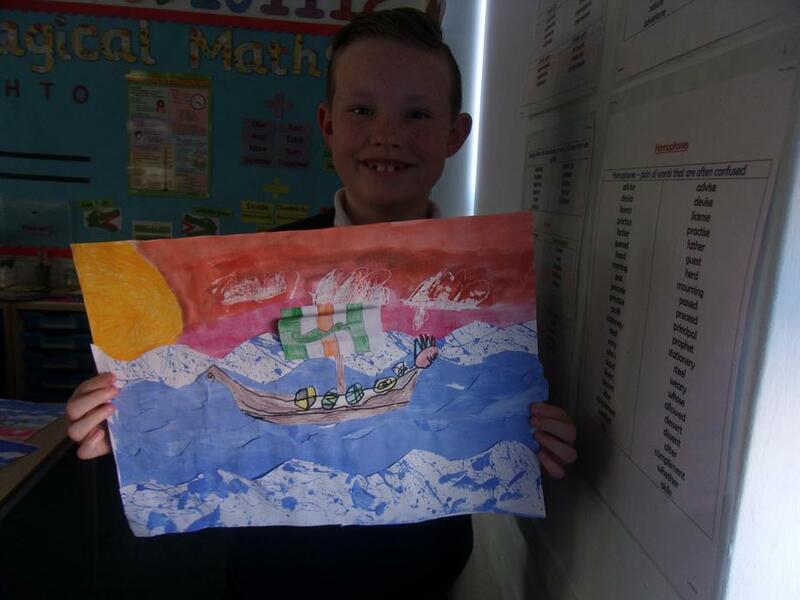 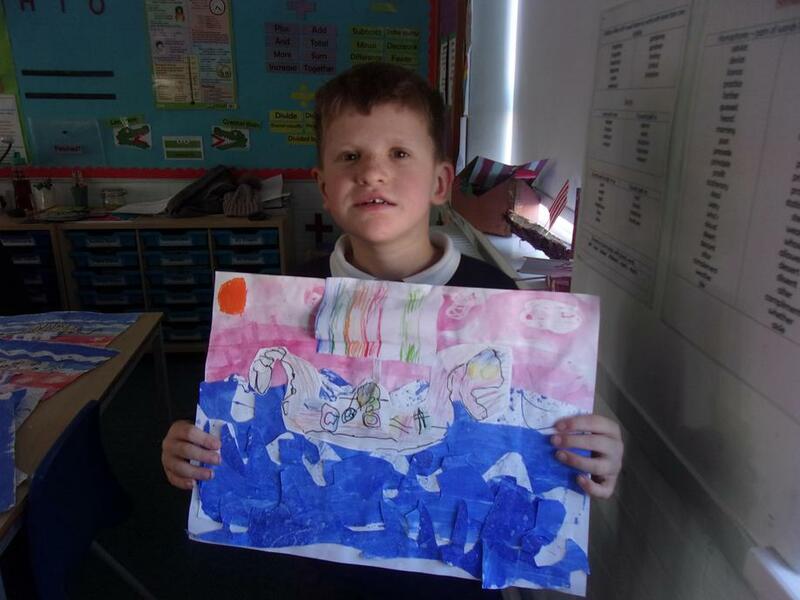 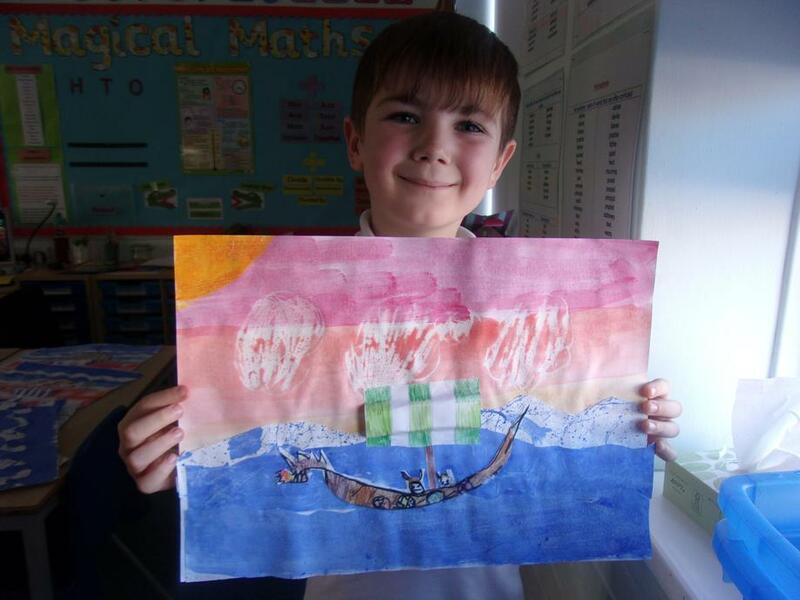 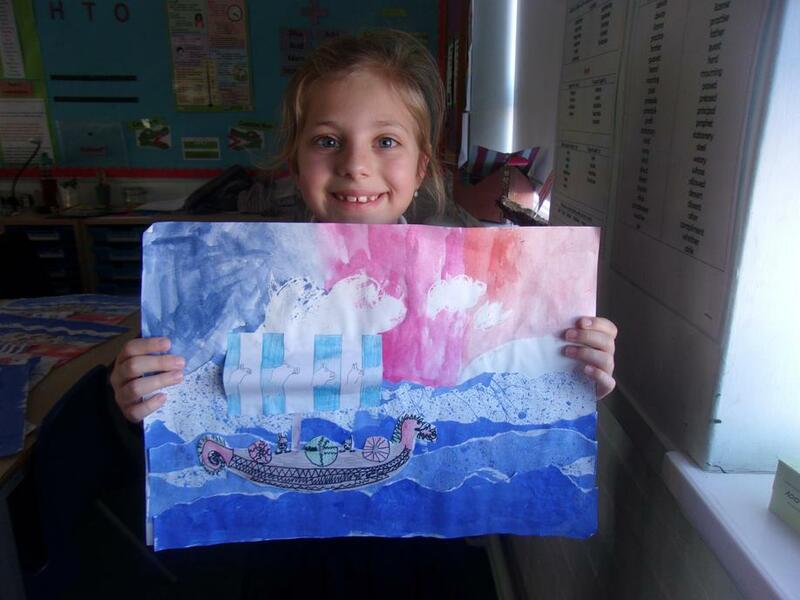 For our art project this term, we created this fantastic Viking Ship scenes. 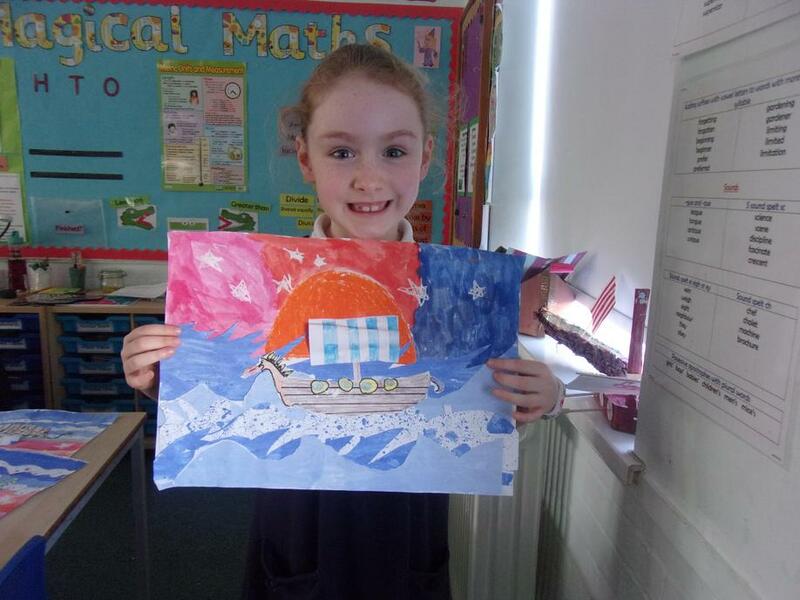 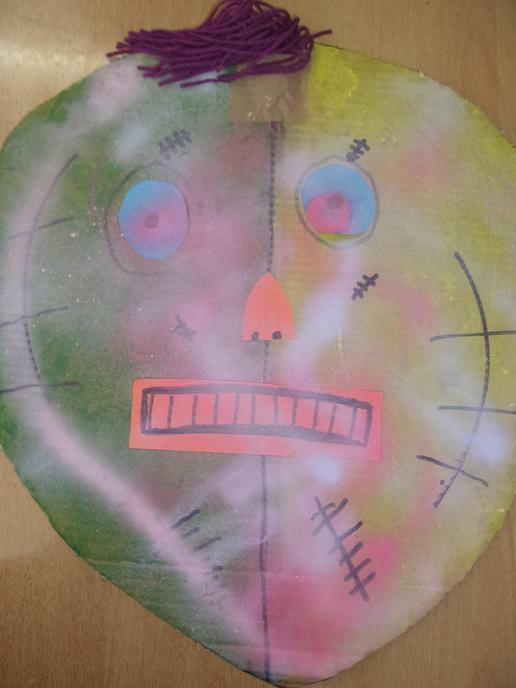 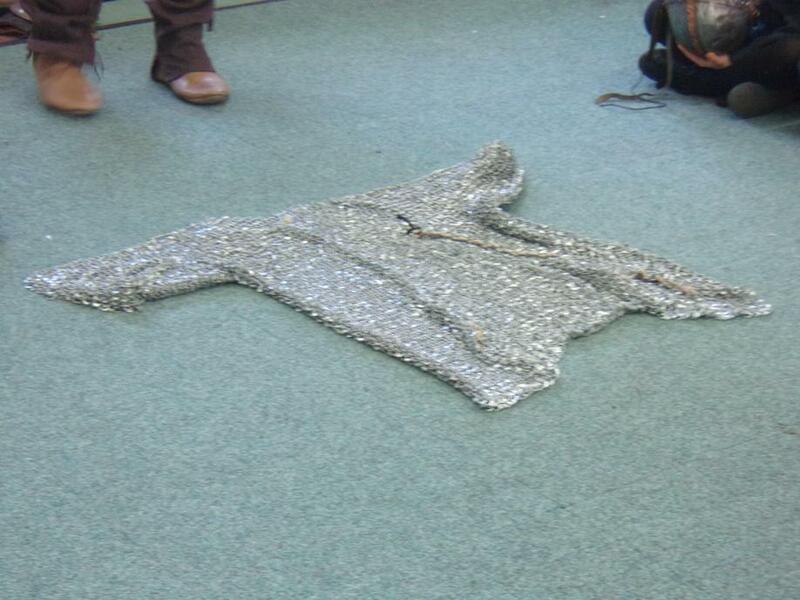 We used lots of different techniques including painting and covering it with salt or cling film. 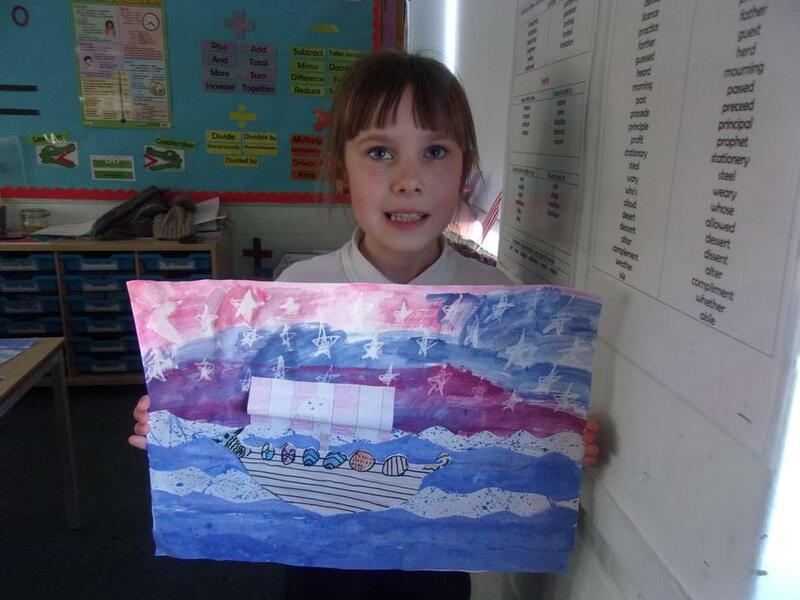 We are very proud of our final pieces! 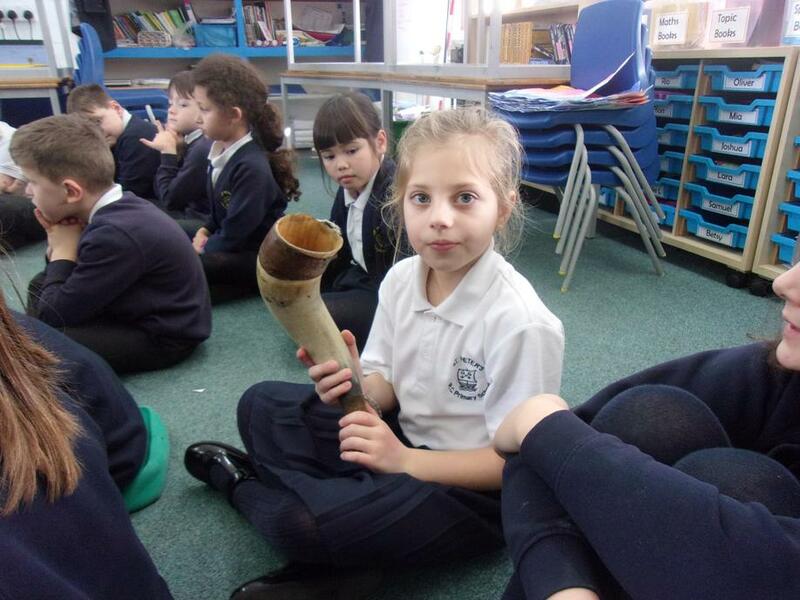 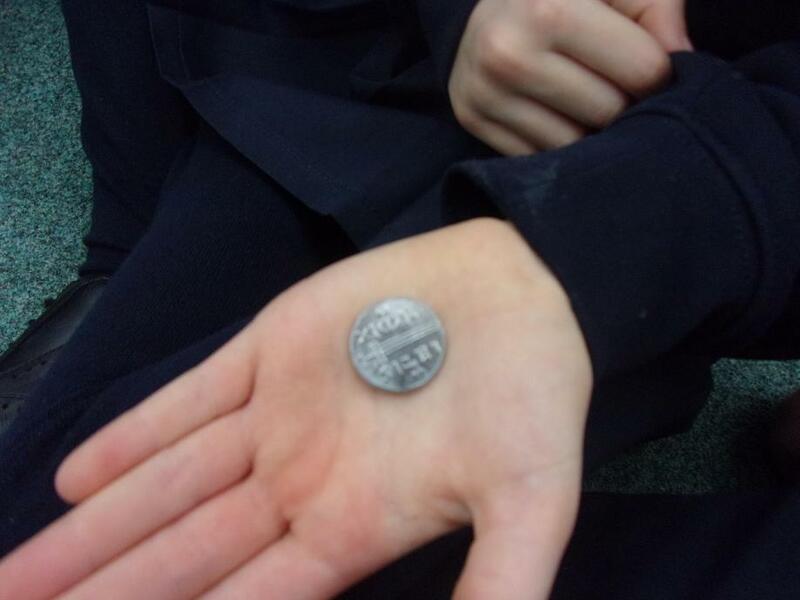 We had a special visitor into Year 3 recently. 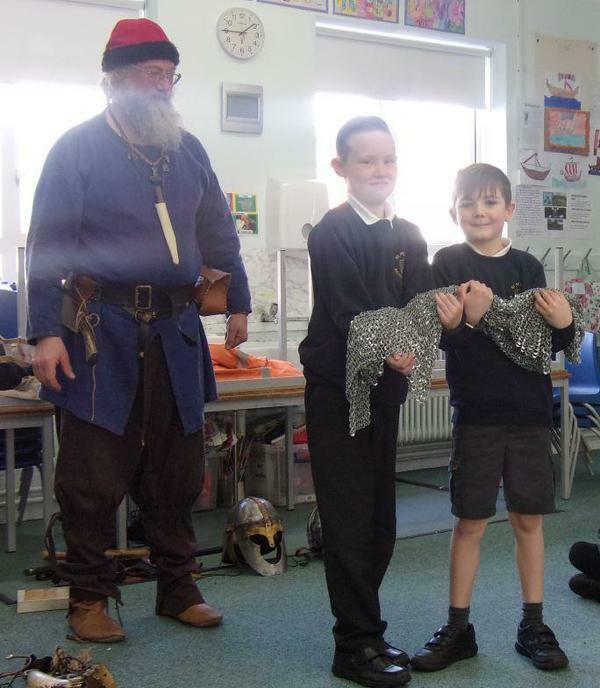 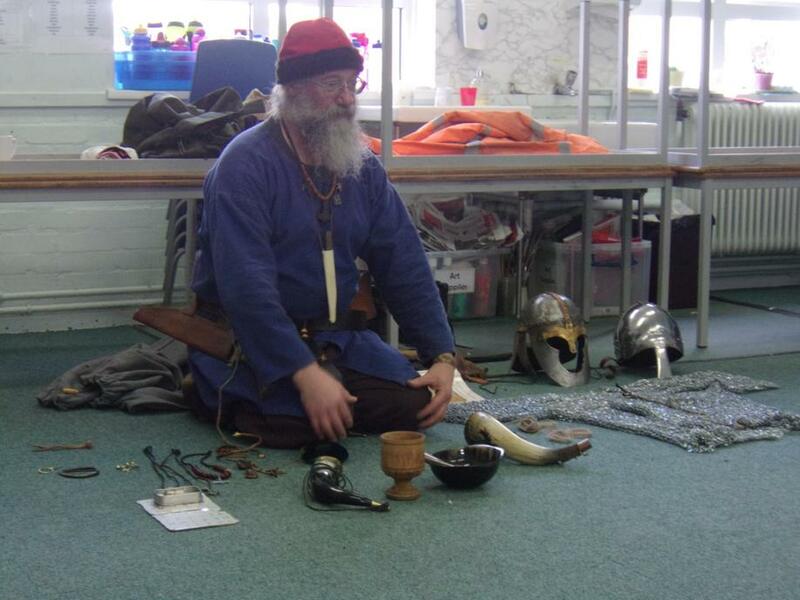 Jeff came in and told us all about how the Vikings used to live and brought in some fascinating items for us to pass around and look at. 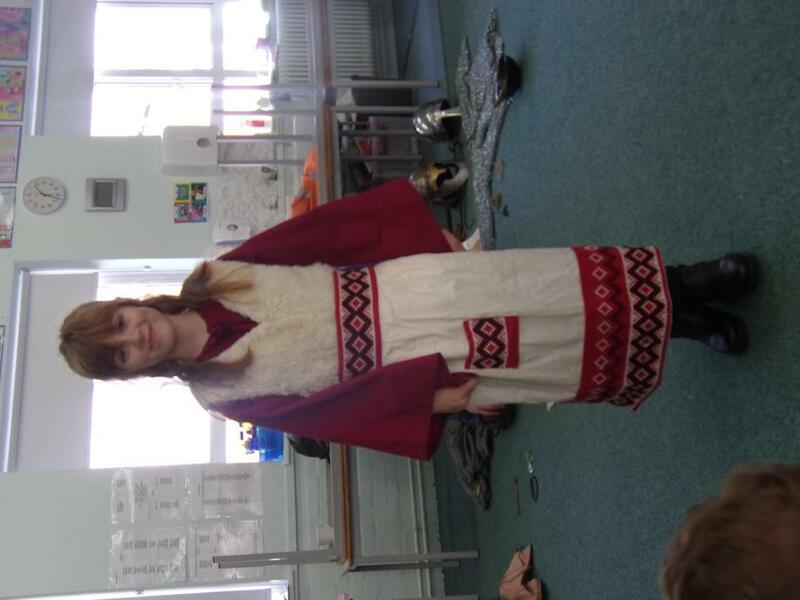 It was a very interesting afternoon.